When the ACC Network was announced in July 2016, the scramble began at nearly every league school to get the needed facilities built. There was no such scramble at Duke. Its facilities were part of the planned Blue Devil Tower construction and, partially thanks to Athletics Director Kevin White being the chairman of the ACC Television Committee, were completed a month after the announcement. Meanwhile, much of the rest of the ACC, including North Carolina and N.C. State, put plans in motion for on-campus facilities soon after the announcement. The facilities at UNC and State will be ready well ahead of ACCN’s Aug. 22 launch but still are not complete. Duke’s head start has allowed it to produce 18 linear (for a TV channel) broadcasts this school year, but UNC and State will have to wait until the next school year to do it for the first time. 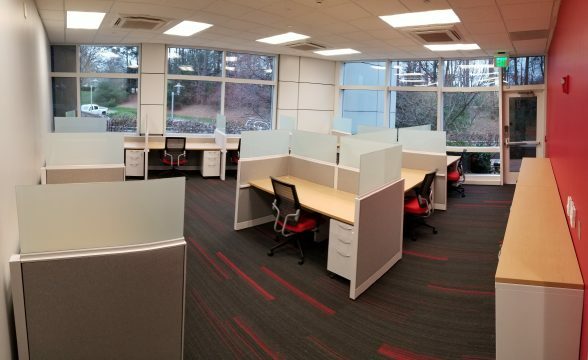 While the ACCN’s production will be centered in Bristol, Conn., and the business offices will be in Charlotte, each ACC campus will have dedicated facilities that will serve as hubs. According to the Sports Business Journal, the $110 million to $120 million league schools will collectively spend on facilities is four times the amount SEC schools spent preparing for the SEC Network’s 2014 launch, with individual schools spending between $6 million and the $10 million spent at UNC, Georgia Tech, Notre Dame and Virginia Tech. 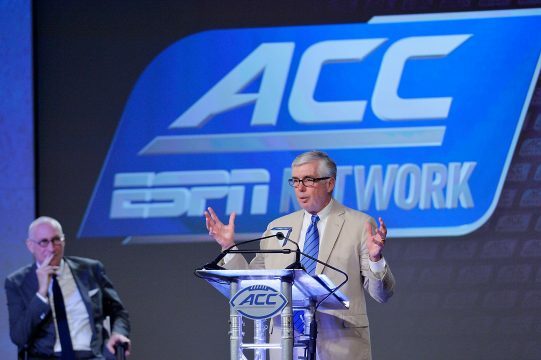 “Their facilities needed to be linear standard so that they could produce games on campus, or any type of programming on campus, of the quality that it needs to be to go on a linear channel,” ACC commissioner John Swofford said. 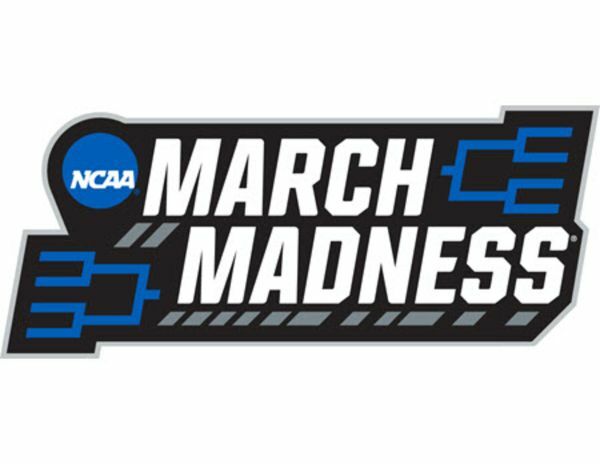 The 24-hour channel is expected to televise 450 live events during the 2019–20 school year, including 40 regular-season football games, starting with Georgia Tech at Clemson on Aug. 29, and 200 other regular-season competitions. It will combine with the digital channel, ACC Network Extra (ESPN3), to produce more than 1,300 events next school year. During the ACC Tournament last week, the league and the ACCN made many programming announcements. 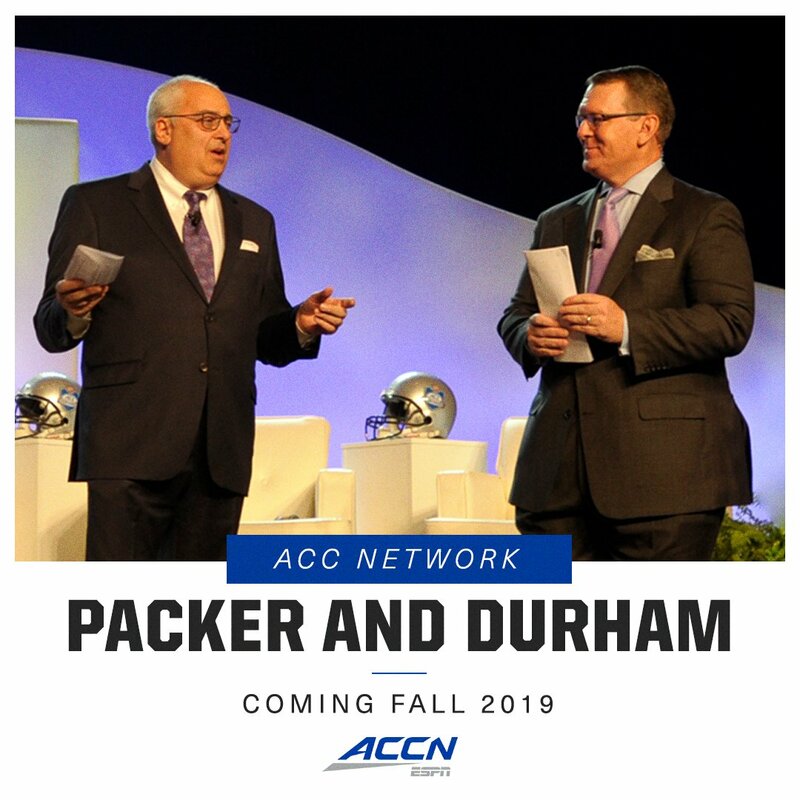 The networks’ anchor show will be the weekday morning “Packer and Durham,” and documentaries are planned on Mike Krzyzewski’s 1982 recruiting class at Duke as well as one on the ACC Tournament. One of the biggest projects in the league is at UNC, where a building was torn down and another one is under construction in its place. 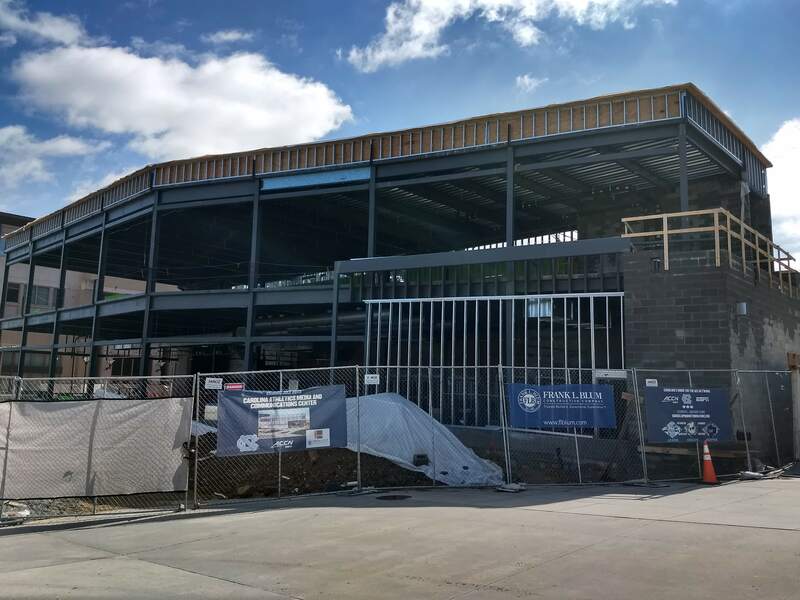 The facility, next to the Koury Natatorium and across the sidewalk from the Smith Center, will be the two-story, 13,000-square-foot Carolina Athletics Media Communication Center. Construction is expected to be completed by early July, which is when system integration and equipment installation will start. “We’re probably the only people that had to demolish a building and build a new one,” said Ken Cleary, UNC’s assistant athletic director for emerging media. UNC’s complex will include three control rooms. Two of the control rooms will be linear with 13 seats that closely replicates what crews use in TV trucks. 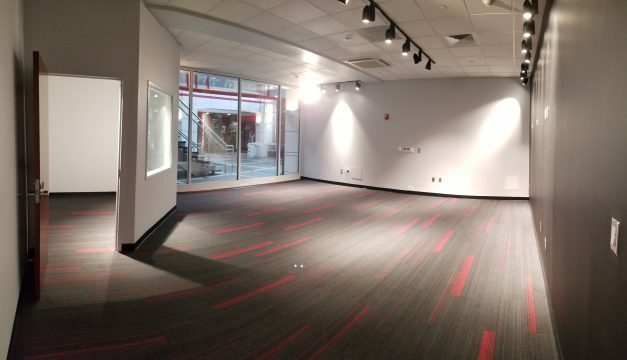 At N.C. State, space for its ACCN facilities was retrofitted within the Murphy Center next to Carter-Finley Stadium, at a price tag of $6 million. Many other schools used existing spaces. Virginia Tech found space behind the south end zone at Lane Stadium and Pittsburgh retrofitted Petersen Events Center lobby space, spending $12 million on Pitt Studios. Virginia spent $7 million to modify existing facilities at John Paul Jones Arena. Space at N.C. State’s Murphy Center being converted to an ACC Network studio. At the time of the July 2016 announcement, N.C. State renovations to update production facilities at Reynolds Coliseum for digital broadcasts weren’t yet complete. That facility wasn’t going to be adequate for the linear ACCN broadcasts, so State set out on its Murphy Center plan. “We were just finishing one project when the next project was announced,” said Monk, who started at N.C. State in the 2011-12 school year, the year it did one ESPN3 game. Space formerly used as an old conference room will now have two eight-seat control rooms, an audio room for a ninth operator, and a studio. What once was a racquetball court has been converted to two levels, with a rack room, video-shading station, an engineering office and a couple of work stations on the first level and a second control room on the second level. The rooms are ready, but the system integration and equipment installation still need to be done. The downside of the Murphy Center location is that only football and men’s basketball games are played nearby. Facilities at every school will significantly reduce the need for TV trucks. But while TV trucks are pretty standard, school facilities will vary. All three schools still expect TV broadcast crews to use TV trucks for football broadcasts because they all also have in-house productions to produce during the game. Their ACCN facilities should be used for virtually every other sport with the exception of high-profile basketball games. Before the Blue Devil Tower facilities were completed, Duke depended on a production trailer that it pulled with a pickup truck. Why did facilities have to be upgraded at every school considering that each has been producing plenty of broadcasts for ACC Network Extra? It’s because linear broadcasts (for the ACC Network) require much more technical capabilities than the digital- or institutional-level game broadcasts that have aired on ESPN3 since 2012. At all three Triangle schools, the ACCN launch won’t change the number of games that are broadcast, just the production value. It simply means that there will be more linear broadcasts, which involve more people. Institutional broadcasts are the ESPN3 productions that sometimes include only one camera and often simulcast the radio call of the game. “If you’re doing a two-camera, one-announcer or a single camera or you’re using a version of your video board with your video board production with your radio announcer on it, that would all be institutional level,” Cleary said. Before ESPN3 came along, all three schools were streaming games on their athletics websites. For most schools, about 75% of their broadcasts this school year are digital level. 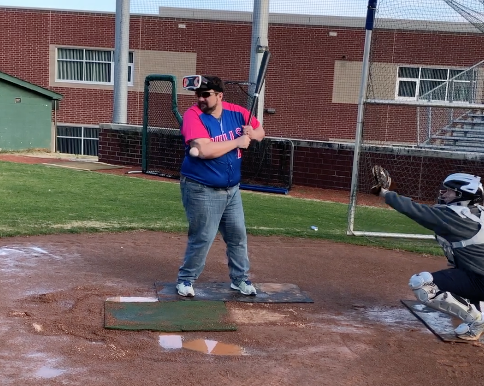 Institutional broadcasts are more common during the spring season when each school could have several games going on at the same time, stretching resources. Monk doesn’t plan to do any one-camera broadcasts. There are clear contrasts between digital and linear broadcasts. There are a lot of extra duties for linear broadcasts as well. For that Duke-Wake Forest game, Duke was told to be ready to set up a live report with Rece Davis for ESPN if Zion Williamson has been cleared to play in that game. Monk said there is more preparation required for linear broadcasts. State will have a “bureau cam” that quickly allows it to set up interviews. “Anytime ESPN asks any of our coaches from any of our various sports, they’ll be able to come over to our studio and come into our new area where the bureau cam is and be connected right to Charlotte for live interviews,” Monk said. Virginia became the 10th league school to do a linear broadcast late last month with its home men’s basketball game with Georgia Tech. Virginia Tech expects to do its first linear broadcast later this spring. “We’re making money on those linear shows now, so I got a head start on training my freelancers and everything else. They’re ready to rock and roll,” Lampman said. While being the first with linear capability meant more money sooner, there is a downside. Duke’s facilities are hidden to the public, but Louisville (which is spending $8 million on a 7,850-square feet facility) and Pittsburgh will have setups to allow fans to see the studios through windows. UNC has been adding staff over the course of the last few budget cycles and will add two more positions beginning in the next fiscal year. State has hired two additional people in the last two months, and will hire another in early summer. By the time the August launch happens, all the schools will be ready. In Sports Illustrated, Laken Litman wrote about the interplay between coaches and referees in college basketball. In a story before the Big South Tournament, Andrew Carter, in The N&O and Herald-Sun, wrote about how Campbell’s Chris Clemons, the nation’s leading scorer, compensates for his small stature with creativity. There were several stories about the end of Raycom’s run of airing ACC games on TV at the ACC tournament. Two of the best were this one by Brant Wilkerson-New of the News & Record and this one from Luke DeCock in The N&O and Herald-Sun. In The Ringer, Jesse Washington looks at how more college basketball fans who are black are identifying as Duke fans compared to college basketball fans overall. That’s changed dramatically in recent years and he lays out the reasons why. In Sports Illustrated, Josiah Turner wrote about Kenny Williams’ path to UNC and then becoming a major player for the Tar Heels.